Leading Aircon Servicing, Air-con Repair, Chemical Clean & Installation Company: What Is Aircon Dry Mode And When Would You Use It? What Is Aircon Dry Mode And When Would You Use It? What is air-con dry mode? Dry mode is found in some models and tends to cost more. Room humidity can cause the room to be uncomfortable even when there is sunlight. This because the humidity in the air traps heat, resulting in an increase in heat. Window units and central cooling units normally have this feature installed. Dry mode helps remove extra humidity from the air. Regions located in regions with monsoon winds are prone to have air full of humidity. Singapore is in such a region where water vapor from the sea is pushed into the city. This causes discomfort to anyone in a closed room. A sauna works the way and in essence your house has turned into one. This heat can cause you to have sleepless nights since you are battling with trapped heat. The dry mode in some conditioners uses silicon to filter out the water vapor. The sauna effect is canceled out and you get to enjoy your cooler temperature. It is important that you keep the windows and doors shut and the aircon, dry mode does its work. When should you use dry mode? Dry mode should be used during seasons of high humidity and at night. If you have children you can use the dry mode when they complain of the heat. Sometimes a dry mode can cause running since our body is trying to moisturize the air. 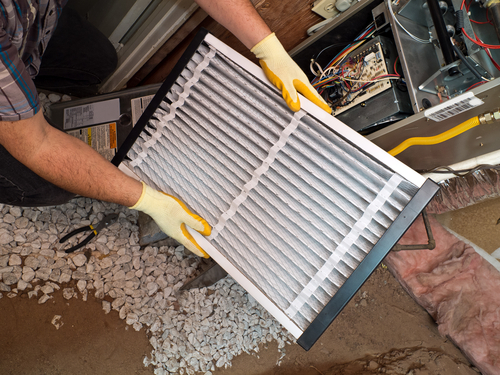 Dry mode does not cool the air, but filter out the excess water in the air. This feature saves energy and you can set the fan to blow on a slower rate achieving a better cooling effect. During the monsoon try to pump in cooler may not work and is just a waste of electricity. What is cool mode on the air mode? Cool mode is the normal mode of all air-con devices. Cool mode is just the fan cooling the air by just pumping more air into the room. Cool mode saves energy, but this depends on the level you set. When temperatures reach unbearable levels this is the best way to cool down. Cool mode is comfortable and increases aeration of the room. The fan occasionally goes off when the room is at the required temperature level. Instead of competing for the window position get an air-con and you will love the convenience. When should you use cool mode? This question is quite common. Cool mode is best when trying to reduce room temperature and still want to save electricity. It is a great way of setting the room temperature at optimum levels. If you work in an office, the work rate is better for the everyone is focused with the work. Compared to dry mode, cool mode is what you will mostly use since temperatures are mainly high an unbearable most of the times. During the day cool mode is best since you are fighting the effects of direct sunlight. In some air-con devices you will find fan mode setting. Fan mode is just cooling mode running full time. The fans never stop moving. You just the temperature and the air-con does the rest. If you live in an area where it's hot throughout, fan mode is the best setting for you. In Singapore the shipping yard can be a hot play is always hot and the fan mode will keep you cool. Fan mode is not energy efficient since your fan is always on. When and where should you use fan mode? If you operate in areas where there is always heat, e.g. Server rooms, restaurants and industrial centers it is best to have fan mode always on. Fan mode maintains a constant air flow apart from keeping the air cool. This because this areas constantly need proper airflow. Many companies have areas with equipments running constantly. To ensure that the staff does not have a tough time working, fan mode should be always on. You should be aware that no actual cooling when the compressor is off. What is quick cool mode? Quick cool mode has never been power friendly mode. By using it you are telling the air-con to rapidly cool the room to the desired temperature you desire. The air-con will use all the resources it has to achieve the required cooling. This mode is mostly used when you just walk into a room and you just want to cool it rapidly. For instance, you walk into a room and its 35 degrees Celsius hot and you want to cool it to 25C quick cool mode will achieve this in minutes. The quick cool mode might not be available on all types of air conditioners. You may find some air-con devices having a sleep mode function and think that it is not working while in that mode. Sleep mode is an energy efficient mode and is best used when the temperature near optimum temperature. 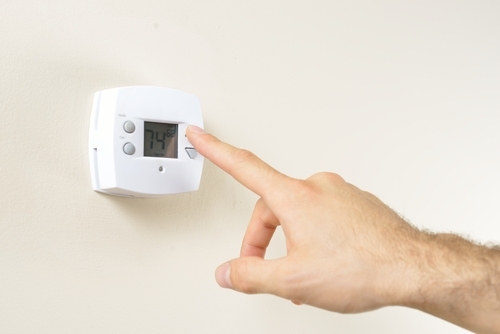 The thermostat restarts the air-con when the temp rises by a degree and this helps keep the temperature at the required level. A good thing with sleep mode is that you save electricity and still enjoy cool temperature. These are some of the major questions air-con users ask themselves and mostly don't find the right answer. You now have an accurate guide on the various features air conditioners have.